Twenty-five years ago, a television channel dedicated solely to food came into our homes. Yes, I’m talking about the Food Network. At the time, the concept of watching culinary experts (24/7 no less) sharing their skills and knowledge — live and via video — was novel. Up until then, resources were limited to reading about the culinary world or practicing food preparation methods first-hand. Now, however, we take for granted that we can learn about food and cooking by watching and listening to television/radio shows and online videos. 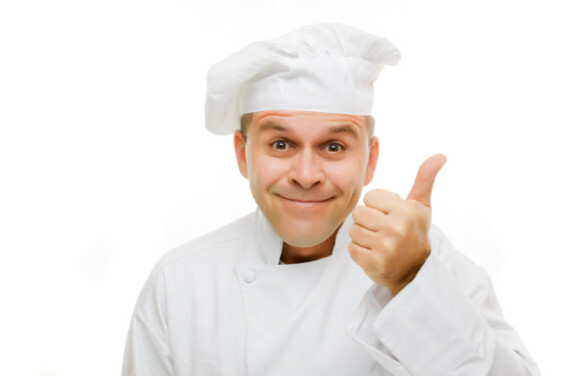 Content ranges from food trends, culinary techniques and new ingredients to competitions between seasoned chefs (as well as contests between novices and professionals). All it takes to learn more about food is as simple as turning on our TVs or by tapping a button on our computers, tablets or smart phones. Indeed, discussions about food have permeated our lives, whether we like it or not. “Food talk” is now inescapable in our society. For example, until we had these television shows, online videos and websites, who had heard much about umami taste, which has been taking the culinary world by storm for the past decade? Chef Chris Koetke is Vice President of both the Kendall College School of Culinary Arts and Laureate International Universities Center of Excellence in Culinary Arts. In this video, “Umami and the Five Basic Tastes” he explains the fifth taste of umami and how the amino acid glutamate is picked up by receptors on the tongue, sending biological signals of “protein” to our brains. Chef Chris talks about the many sources of glutamate in foods – it’s one of the most abundant amino acids in our bodies and in our foods. 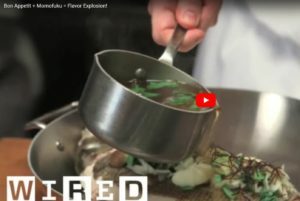 Chefs at Momofuku restaurant group describe umami taste as “YUM” and explain that the secret to the great taste of their dishes is using various layers of umami-rich ingredients. Momofuku, established by the renowned chef David Chang, has legendary restaurants in New York City, Washington, DC, Los Angeles, Sydney, and Toronto. 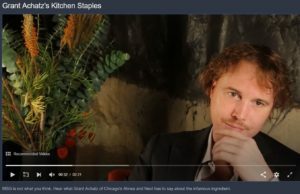 Award-winning chef Grant Achatz, chef and owner of the Alinea restaurant in Chicago and Aviary in New York City, is interviewed in this video by Tasting Table about one of his favorite ingredients: MSG (aka umami seasoning).